Welcome to Holiday Inn Express Sheffield City Centre - a modern hotel where you'll find well equipped facilities, great value rates, free standard Wi-Fi and complimentary breakfast as standard. The hotel is the perfect choice for leisure and business travellers. We know how important it is for you to feel comfortable while you're away from home so we've paid attention to every detail. Located to in the City Centre, just half a mile from Sheffield Railway Station, Bus Stations and the Sheffield Supertram network; buttressing the River Don, our hotel features include 161 stylish comfortable 100% non-smoking hotel guest rooms, equipped with air-conditioning, satellite TV with pay movies, tea & coffee making facilities, en suite with power shower, hair dryer and more. 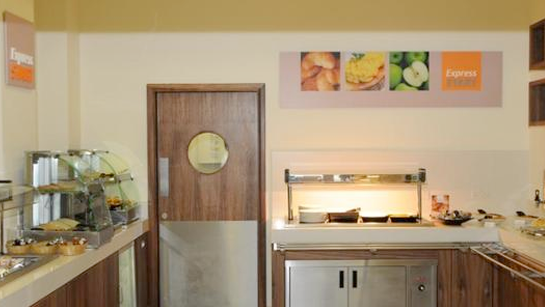 All of our great value hotel room rates also include our new and improved breakfast buffet - including hot scrambled egg, sausage and baked beans. Our Sheffield hotel also features include 1 meeting rooms for up to 20 delegates and a licensed bar which serves delicious evening meals to suit all tastes. 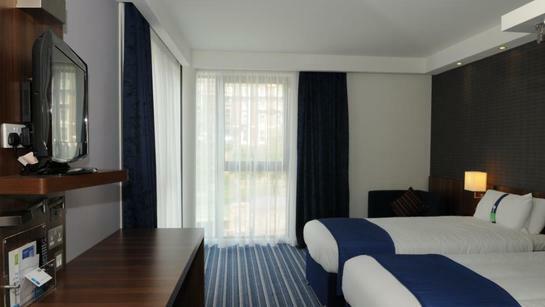 Our sister Holiday Inn hotel next door offers 16 meeting rooms, should you require more rooms. We do hope you enjoy our on line experience. Remember that by booking directly on our website, you'll get our lowest price promise, plus a host of benefits you won't get if you book via a third party or on line travel agent. We also pride ourselves on excellent guest concierge. If you have any questions that we haven't answered for you on our website, please don't hesitate to contact us . 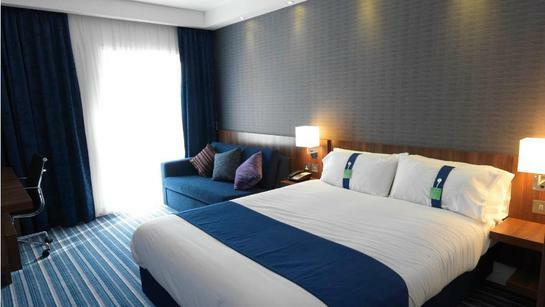 We look forward to welcoming you to the new look Holiday Inn Express Sheffield City Centre. 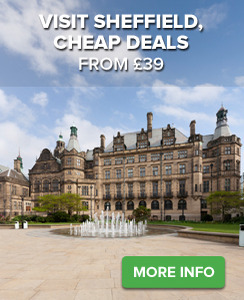 When booking directly with Holiday Inn Express Sheffield City Centre via this website where you can be assured you are receiving the lowest publicly available rate, PROMISE! All guest rooms are fully air conditioned. Enjoy satellite TV with pay movies in all guest rooms, and Hi-speed internet access in all guest rooms, public and meeting rooms. Stay at the Holiday Inn Express Sheffield City Centre hotel and get your day off to the best possible start with our extensive hot and continental breakfast buffet.